Lately, I’ve been a little distanced from the ol’ blog. Partly due to working hard to finish the basement so we can start on the baby room. And partly because I have been devoting some of my time to is a business that I have started up with six other gals. As I’ve mentioned, I’ve fallen and I’ve fallen hard for Young Living essential oils. My passion for these oils has led me to become part of an incredible team of young women who have come together to start a business in order to help spread the word on the goodness of oils. We call ourselves crazy for coconuts. We are constantly chatting with each other about new ways to use oils and we have a blast! If you have any interest in essential oils, I highly recommend you head over to our website and check out our blog too! I feel like not sharing information about oils is like cheating someone out of a really, really good thing. I have so much knowledge to share about these oils and my passion is growing by the day. I am so excited to share these recipes with you as I go! If you ever want to chat oils with me, do not hesitate to reach out. I am thrilled when people ask me about oils. I want to share the love! Oh boy. Let’s talk about this past weekend. It was epic. I flew out to Chicago to meet up with Katie, Caroline, and Becky for a highly anticipated girls’ weekend. You’re about to get my weekend recap in one post so I hope you’re ready for it! Katie and I flew out from Minneapolis and into Chicago around noon on Friday. We booked it over to meet Caroline as she exited her flight and we all went crazy when we reunited. The four of us haven’t been together since September at the Healthy Living Summit six months ago! But what’s great about our friendship and our relationship is that no matter how long we have been apart, we catch up right where we left off. Becky lives in Chicago and was a fantastic host! We anxiously awaited her arrival at the airport. We repeated the whole greeting shenanigans and our faces were plastered with smiles the whole drive back to our hotel. Reunited and it feels so gooood! You better believe there was a ridiculous amount of good food consumption that happened this weekend. It started in our hotel room. Katie broke out the Chex Mix and it tasted better than ever. I was SO hungry! Next we walked to an Italian marketplace called Eataly. They sell every conceivable italian product I could think of (olive oil, pasta, chocolates, balsamic vinegar, etc.) but also have restaurants throughout, as well as sections dedicated solely to nutella and gelato. This brought me back to my honeymoon in Italy! We ate gelato everyday on our honeymoon! We settled on the vegetarian restaurant and quickly devoured the complimentary bread. Oh yea, this weekend was not gluten-free. I ordered the vegetable soup. I wanted something light since it was 2:00 pm and our dinner reservations were at 7:30. I didn’t want to get so full that I couldn’t eat dinner plus I wanted to save room for dessert back at the hotel! Before heading back to the hotel, Caroline and I strolled down the street to a quiet cafe to catch up. I love love love these girls and made sure to express my feelings the entire weekend. I am lovey dovey and you guys know that. Back to the hotel room we went to relax for a few hours before dinner. Enter: Becky’s sinful brownies. Six pounds of brownie madness. That is 1.5 lbs per person if I did my math correctly. Good thing we didn’t eat the entire pan over the weekend. But seriously, these things were insane. I preferred not to know what was in them but she shared the recipe so I had to find out. I still enjoyed them just the same! Friday night was our romantic dinner at Nellcote to celebrate Caroline’s birthday. 🙂 Seriously the ambiance in this place was amazing. It was elegant with dim lighting, chandeliers, and candle light. So cozy and romantic! After eating our weight in brownies, none of us were too hungry, so we decided to split a bunch of menu items. We split a margarita pizza, roasted brussels sprouts, creamy mashed potatoes, and potato gnocchi with lamb. The food, the conversation, the ambiance….everything was perfect. We retired to our hotel room where we were calling it a day at 10:30 pm. Flying wears a girl out! The next morning we all got a workout in before heading out on the town. It was time to do some shopping. Becky took us to Shop900 which is off of Michigan Avenue but not nearly as crazy busy as the magnificent mile shops. But first a pit stop or two. Duh. We had to see the bean! Then it was time to shop. We hit up Banana Republic, Lululemon, J. Crew, and Nordstrom Rack. All of the shopping surely worked up our appetites. We waited an hour for a table at Giordano’s and it was so completely worth it! Authentic deep dish Chicago style pizza. Yes that is what we wanted and that is exactly what we got. After lunch we continued walking (we walked a lot on Saturday), shopped a bit more, and finally made it back to our hotel. Katie helped me apply my first set of Jamberry nails! The first time applying them was pretty lengthy but I think that with practice I could make the process go much faster. How cute are they, right?! Katie is a jamberry nail distributor so if you’re interested in ordering any adorable wraps for yourself, send her an email! We got prettied up and made a stop at Becky’s before going out to dinner. I swear it seems like all we did was eat this weekend but there was a lot of walking and relaxing involved too! Before dinner I got to meet Becky’s sweet pup Mitchell. He’s famous over on her blog so I felt honored! Next up. Dinner at Mercadito, a fabulous Mexican restaurant. Again, none of us were feeling super hungry so we went with an order of guacamole and salsa and an order of the chicken tacos to share. Some of the best chicken tacos I have EVER had! The combination of flavors involved were so pleasing to the ol’ taste buds. Once again my tummy was happy. Unfortunately my energy level was failing. I called it a night after that—I slept terribly the night before and don’t do well on little sleep as you are all well aware. I went back to the hotel room, got cozy and hit the hay. This brings us to Sunday. We woke ourselves up bright and early (again not enough sleep—theme of the weekend) and made our way to the Little Goat for breakfast. What’s great about traveling with foodie bloggers is you know you’re going to have a good meal since Becky picked all of them out. My body still felt stuffed from all of the food consumed over the last 48 hours, so I decided to go on the lighter side. I split a cinnamon roll, split an order of bacon, and ordered myself a fruit parfait. The weekend seriously was as amazing as it sounds. I miss these girls already. We’re already discussing our next meeting place! This was one of those weekends that went so fast it hardly seemed like it existed. The only proof I have is that I took a few photos from the weekend. 🙂 Kidding, I have fond memories from the weekend to remind me that it existed too. But seriously, it did fly by. My weekend was full of exercise, cleaning, putting Christmas decorations away, hanging out with girlfriends, and running errands. Today as the weather is dramatically low, I will be keeping warm and hibernating as best as I can. Quinoa salad bowl with spinach, quinoa, tomato, muffuletta, and hummus. It was pretty darn good even though I was forced to scarf it down in the Target parking lot and even though I was really craving peanut butter. But, it’s what I had packed! On Friday night I switched up our typical salmon (my favorite salmon) for a maple mustard salmon. Dana grilled the salmon on the grill per usual as I prepared the maple mustard mixture. You are actually supposed to slather this mixture/sauce on the salmon before and as they are being grilled, but I didn’t want to waste any of it down the grates of the grill so we kept them separate. The changes I made were I used dried thyme instead of fresh and halved the recipe since we were only making two salmon fillets. After the salmon were done on the grill, we set them in the saucepan inside and then transferred them to our plates pouring the sauce over the salmon. It was good but not as good as my favorite sesame oil, almond, and caper recipe! On Saturday evening I had some of my girls over for girls night. We had an array of snacks: Chex Mix, apples with peanut butter Greek yogurt dip, cheese (havarti–my fav) and crackers, veggies and hummus, chocolate, and wine. We chatted, played games, ate, watched part of a movie and then crashed before midnight. Oh how the times have changed. I love those ladies with all of my heart and can’t wait to be reunited again! Speaking of ladies, my dear friend Katie (Running4Cupcakes) has nominated me for the Sisterhood of the World Bloggers Award! I am always grateful for these nominations so thank you Katie for nominating me! Favorite color – I really don’t have a favorite color. I like them all and my color choice depends on my mood mostly. I guess I could say I’m a red gal though. I have a lot of red accents around my house and I love wearing red. Favorite animal – Dogs and monkeys and gorillas. They all make me laugh! Favorite non-alcoholic drink – Turtle Mocha Northern Lite Lattes, Skinny Peppermint Mocha, sparkling water, water. Facebook or Twitter – Facebook I guess. I kind of get tired of both actually and yet I check both of them all of the time. Favorite pattern – Zebra print, leopard print, stripes, polka dots. Favorite number – Growing up it was 32 which was my basketball number, but today I don’t have one. Maybe I should follow Katie’s lead and use birthdays; so 16. Favorite day of the week – Friday! I bet you could have guessed that based on my excitement in my Friday posts. Do you prefer getting or giving presents? – Giving a perfect gift and seeing that person’s face light up is the best BUT I will not lie…I like getting presents too. What is your passion – Family, food, health, fitness, cooking, positivity, travel, happiness, and love. It’s your turn too even if your name isn’t listed above! Answer some of the questions in the comment section! HAAAaaaave fun!! Happy last day of 2013! I just ate my last breakfast of 2013, a delicious fruit and kale smoothie. This is going to be a fabulous day to end out the year. I have plans to relax today, paint my nails, workout, and be with friends tonight to ring in the new year. Like all of us, this year had many ups and downs for me. I am looking forward to starting fresh in the new year and looking forward rather than dwelling on things I can no longer change in the past. I will continue to take care of my body: fueling it with the healthy nutrients it needs, being proactive about my healthcare, staying active, having fun with exercise, laughing, loving, having fun, and staying positive. I took a few minutes to glance back at my year of blog posts and I wanted to put together a list of some of my favorites from the year. This list doesn’t include ALL of my favorite moments, but a lot of them! We took SO many great vacations and mini-vacations, and although I won’t be listing them all below, that doesn’t mean that I didn’t enjoy each and every one. They were all a blast! You can see my travels on my travel page if you’re interested! 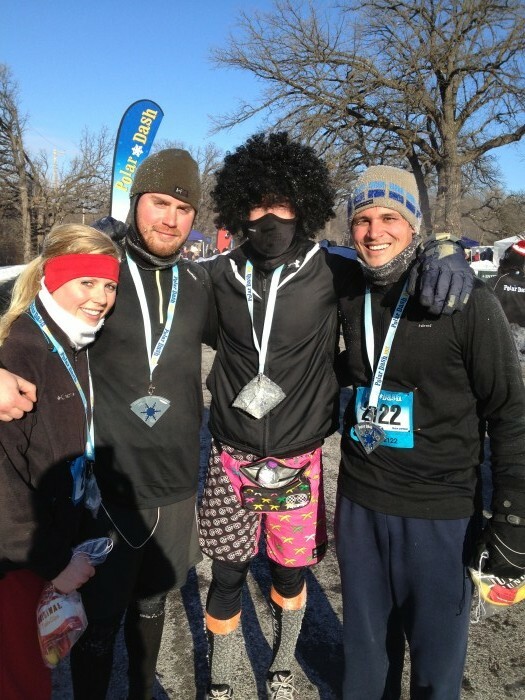 A healthy start to 2013: Polar Dash 10k! A cold but very fun run! Vacation to the Turks and Caicos! We stayed in a gorgeous villa in North Caicos and fell absolutely in love with TC islands. Turks and Caicos Part 1, Part 2, Part 3 Clean Eating Camping Menu: I did a whole lot of meal and snack prep and executed an entire camping trip with only clean foods. This was part of my clean eating program I was following. Chances are this won’t ever happen again but I guess you never know! The food WAS delicious although I did miss s’mores a whole lot! 😉 Surprises from Bethenny Frankel. It started with one thrilling cocktail party in Minneapolis and before I knew it I was celebrating with Bethenny Frankel in New York! Cocktail Party with Bethenny in Minneapolis Bethenny in New York Part 1 Bethenny in New York Part 2 Thai Chicken Salad with AMAZING Peanut Sauce. My lovely friend Kalley was over for dinner and we seriously killed this salad. It was to die for! Kal–can we do this again please? Vacation to Vancouver Island! We celebrated our two-year anniversary with a trip to Seattle, Vancouver Island, Vancouver, and then flew down to California to catch a cruise to Ensenada, Mexico! Vancouver Island Seattle California—Ensenada Healthy Living Summit 2013. A weekend with some of my favorite girls. Need I say more? Spin Class with Olympian Dara Torres. Thanks to Dara Torres and Koss Corporation, Katie and I were able to attend a spin class led by Dara Torres! I had so much fun! My first on air experience with Fox 9 for National Oatmeal Day! To watch the video, you can click here: National Oatmeal Day Fox 9 Here’s to a healthy and fresh start in 2014. Continue to live in the present and look forward to the future instead of dwelling in the past. The past is the past and there is nothing we can do to change it. We can however control how we handle changes. Think positively and surround yourself with people who lift you up. What were some of your favorite moments from 2013? Any fun plans tonight to ring in the New Year? Today is a very special day. Today is one of my very best blend’s one year blog anniversary! To those of you who haven’t run across the blog Olives ‘n’ Wine, you absolutely must. Becky, who I was lucky enough to meet this past year and become great friends with, offers incredibly funny blog posts full of nummy food, adventures, recipes, and her quest to find healthy balance in her life. Me, Katie, and Becky this summer at Spoon River. Caroline, me, Becky, and Katie at this year’s Healthy Living Summit. And speaking of recipes, I have one of hers to share with you all today. In honor of Becky’s blog anniversary, about thirty of us bloggers have teamed up to make this day an extra special one for Becky. We have all selected one of Becky’s recipes to create and enjoy at home, and we will all be posting about it today to celebrate our special friend and her achievements! My recipe decision was an easy one when I stumbled across her paleo pad Thai post. I have made some form of paleo pad Thai in the past and absolutely loved it, but I was all about trying Becky’s recipe this time! I love that her recipe not only included spaghetti squash, sunflower seed sauce, and veggies, but that it also includes scrambled eggs! What a nice little surprise, right? Considering I didn’t have any meat protein on hand, I felt good about eating this dish knowing I was getting protein from the eggs (and a little from the sunflower seed sauce). Heat a non-stick pan or wok over medium heat and pour coconut oil into the pan. Saute the onion, peas and any other vegetables you want to include for approximately 5-7 minutes, until they are tender but still crisp. Add the spaghetti squash and chicken to the pan and cook until warm, about 5 minutes. Pour in the Pad Thai Sauce and stir until everything is combined. While everything is heating for an additional 2-3 minutes, scramble eggs in a small pan. Serve with the scrambled eggs and a handful of sunflower seeds on top. Enjoy! Place all ingredients except the coconut milk in a food processor and blend well. Once blended, add in coconut milk and blend until smooth and creamy. Besides dirtying up a few pans, this recipe was relatively easy and extremely delicious (no surprise). The only alterations I made were that I excluded the chicken because I didn’t have any on hand and added in some broccoli! Oh, and I scaled down the heat in the recipe because I’m a big baby when it comes to spicy food. I am so proud to be able to call Becky a friend. She is so incredibly thoughtful, giving, funny, smart, and beautiful. Happy one year blog anniversary my dear friend! You have achieved so much in just one short year, I can’t wait to see how you will continue to grow! I am so proud of you. I love you! Here are the links to the other blogger’s posts to honor Becky in case you are interested! Lots of nummy recipes going on here! Happy Tuesday! Guess what I’m doing tonight? Going to a spin class with Dara Torres! Not only is it my first spin class, but I get to meet an Olympian at the same time?! I am super pumped! It’s time for some Healthy Living Summit recapping. I am bound and determined to squeeze this all into one post. Last year I broke it into four posts. It might get lengthy, but I think I can do it. Grab a cup of tea and settle in a comfy chair for this one. I snagged my Caroline from the airport as we both gave each other the girliest greeting ever with lots of shrieking and hugs. Caroline and I met last year at the Summit in Boston. We have kept in touch over the past year and have become the best of friends. I adore her. This was her first time in Minnesota so we checked a couple of touristy things off the list: a walk around Lake Calhoun and a trip to the Mall of America. We spent the rest of the evening relaxing in our comfies and went to bed early to rest up for the festivities that lay ahead. Wild Harvest hosted a tour of their test kitchens and labs in Eden Prairie, MN. Wild Harvest was the gold sponsor for the Healthy Living Summit and is an organic food company. They are responsible for the brands Wild Harvest, Essential Everyday, Culinary Corner, among others. You have probably seen these brands in your grocery store. Being that I am a dietitian, setting foot into their facilities and seeing their test kitchens and labs was a dream to me. Back in college I had a couple of classes that focused on product development including taste testing, sensory labs, and ingredient adjustment. This brought back a lot of memories! After the tour we headed out to the Hilton in downtown Minneapolis where the Summit was being held. We got all checked in, were greeted by the amazing organizing team, and got situated in our room. I was SO excited to see Becky and Katie! Caroline, Becky, Katie, and I all roomed together for the weekend. I know you’re thinking that’s crazy: four girls and one bathroom sounds like a nightmare, but it actually worked out just fine! It was never a problem. We headed to a presentation given by Nancy Clark, RD about proper refueling post-workout. After that we got sweaty with an Insanity workout. I only did it at half speed and I was still dripping sweat by the end of it! Next on the agenda: dinner at Kindee Thai. There was a group of 12 of us girls who met there and I got to meet so many great ladies and eat tasty chicken and veggie stir fry. Let’s see if I can remember everyone at dinner: Gabe, Jen, Becky, Natalie, Katie, Amanda, Kim, Hannah, Katie T., and Caroline. Did I do it girls? I will feel terrible if I forgot someone! After dinner we headed across the street to the Guthrie Theater where our cocktail party was being held. If you’ve ever been there, the event was held on the endless bridge. The views are gorgeous! We mingled, made new friends, and had some serious fun in the photo booth. In the photos below: Caroline, Jen, Becky, Katie, Hannah, Kim, and Me. The evening flew by and before I knew it I was snuggled into bed. Unfortunately I cannot sleep well for the life of me on the first night in any new place, so I got a total of five hours that night maybe. But that’s okay because there was plenty of healthy food and beverages to keep me perky during the day on Saturday! I even had my first experience with Energy Bits which are made from 100% organically grown spirulina algae, and loaded with 40 nutrients and protein. They are a healthy energy boost and 100% natural whole food which is the only way I would ever take an energy supplement. Saturday was spent listening to panels and interacting with new blog friends and the sponsors at the event. My girl Katie was one of the presenters! Go Katie! I took away some new tips for the blog and am hoping to make some great changes and enhancements to Beautifully Nutty! Sponsors: Wild Harvest (gold sponsor), Driscoll’s Berry (my jam), Blue Diamond, Ninja Kitchen, Musselman’s, Refuel Got Chocolate Milk, Sargento, 360 PR, Ortholite, and CocoVia. In the afternoon we had a little down-time, so the girls and I headed out for a walk around the area. Even though I am from Minnesota, I don’t get to the downtown area very often, so the whole weekend was so much fun for me. I was discovering new places to explore in MN! Saturday night we had plans to get all dolled up one more time and go out to dinner. Our plans changed when we got into our hotel room at the end of the day, got into our comfy clothes, and sat down. Not to mention it was also raining outside. A roomie vote concluded that we would not be going out to dinner. Instead, we picked up Chipotle and a bottle of wine and snuggled into our hotel room for the evening. Our honorary roomie Tara, joined us too! We were all giddy that we decided to stay in! I slept WAY better the second night and was ready for the HLS13 5K bright and early Sunday morning. It was a walk or run depending on however you wanted to tackle it. Our group decided to walk it. We made our way over to the sculpture garden where we got real corny posing in front of the big cherry on a spoon. The air was crisp and we decided a Caribou Coffee stop was necessary for the way back. Once we got back to the hotel, we joined everybody in the main conference room for a farewell breakfast. Heather and Julie, the main organizers of the event, thanked us all for coming and then revealed to us the location of HLS for next year: Madison, WI! Just a 3.5 hour car ride from me! I have to give a HUGE shout out to the whole HLS planning team. You ladies rock my socks. You are so organized and thoughtful, and made the summit so memorable once again! THANK YOU! Whoa baby that’s a lotta swag! So many companies donated amazing swag. We even got a Kona Kase and a Nature Box! So many goodies! And the fun continues. The lovely ladies from Driscoll’s had heaping amounts of leftover berries, and since I drove to the conference and didn’t have to worry about flying berries home, they sent me home with mounds of berries. Berry heaven. I froze the berries and will be using them for the next 5 years few months in smoothies, sorbets, and who knows, I might even make some homemade jam? You’d like that Tara, right?! Although I didn’t win any of the giveaway prizes over the weekend, I feel like I won with these berries! And now for the cheesiness. I also feel like I won because I had the most incredible weekend with my girls. I love spending time with these women—they are all truly amazing. I got to meet so many wonderful ladies who all have a story to tell, and who are all beautiful and unique in their own special way. It’s incredible being at a function like this where everyone has a common interest and passion. You never run out of things to talk about! Thank you HLS for another great year! Until next time. xoxo. One last note: the Hilton Minneapolis was the perfect place to stay for the summit. Our room was plenty big for four of us girls plus all of our clothes and swag. They were extremely accommodating and I would recommend this hotel to others visiting the area. A Surprise from Bethenny Frankel! Oh my gosh, I’m overwhelmed thinking about writing this post because I have SO much to say and I want to make sure and give you a complete run down of my incredibly amazing weekend. Seriously, this weekend felt like a dream. To those of you following me on Twitter and Instagram, you probably have some idea of what I was up to these past few days. If you’re not, come and follow me! Mind you, I am opening this email on a Wednesday morning before work. I quickly opened the email and read that the surprise was that Bethenny was sending me out to to New York, flying me out, putting me up at the W Hotel in Times Square, sending me to watch a taping of her show, and inviting me to her premiere party! WHAT?! I emailed Meghan back and asked her if it was for real. She said YES! What do you think? After a crazy day of finding someone to work for me, getting all of the necessary papers over to the Bethenny team, and shuffling a few other things around in my schedule, I was finally able to tell them that I could go! I had a week to get ready for this amazing opportunity! Was this really happening?! Fast-forward to a week later: Thursday, September 5th. After a couple of flights, a taxi ride, and some motion sickness, I arrive in style at the W New York Times Square hotel. I have to say I felt a little bit like Julia Roberts in Pretty Woman when I first arrived at the hotel. I was in comfy jeans and a baggy cardigan from the flight and I felt like everyone else there was dressed to the nine! There had to have been at least 50 of us staying at the W on behalf of Bethenny. She is so generous! As I was overwhelmed with this greeting, I was also overwhelmed by the views from my room! It’s Times Square! Right there! I probably said “Is this for real?” about a million times while on this trip. After a while of ooing and awwwing over the views, I got myself together and headed out on the town to do some exploring. I had been to Times Square a couple of times prior to this, so it was nice to be able to go out very leisurely and explore versus feeling like I needed to go see everything! I made a stop at the M & M store of course and got myself a bag of Peanut Butter M & M’s. This will be in my heaven someday. Of course, calories won’t count in heaven. I also bought a huge salad from down the street of my hotel. Before heading back to my room I made one last stop at Forever 21 and just about lost my cool because of how crazy busy it was. So. many. people. everywhere. It was time for me to relax. After I ate dinner and some chocolates, I made my way to the hotel gym. I didn’t have the right shoes with me, just my Privo’s, but I still managed to crank out some weights and some walking on the treadmill. After my cool and easy workout, I went back to my room and got cozy. Like real cozy. I showered and snuggled up in the fancy white robe. I gawked at the nighttime views, read a magazine, painted my nails, and relished the moment. A girl could get used to this! After a terrible night of sleep and looking at my clock every hour on the hour, I was up and at em’ at 5:30 am. I scarfed down a make shift breakfast: an apple with Justin’s Maple Almond Butter. After a short panic attack about a stain on my shirt, it was time to go to the taping of Bethenny’s show! The shuttle picked us up at the hotel at 7:30 am to bring us over to the show. Btw I was on my own at this point (Dana was meeting me in NY later in the morning), but I met some amazing people! The group I hung out with all weekend was the Minnesota group (you’re right—we are kind of a cliquey state). It was comforting to be with them! Minnesota nice isn’t a lie. I love these girls (and guys!). Once we finally got into the set of the show the staff got us all hyped up by playing dance music, talking with us, and giving us countdowns to Bethenny’s appearance. Her set is ADORABLE. I can’t wait for you all to see it! After what seemed like an eternity, it was time for her to make her way to the stage. We all went crazy when she finally arrived! The show was taped from 10 am-12 pm. I can’t divulge any info about the show I saw but I can tell you that it will be on September 16th on Fox 9 at 3 pm and that it is a lot of fun! I don’t think you will be able to see me at all because I was on the very left side (if you’re looking from the stage) but look for me just in case! It was a blast being there. There was such an incredibly supportive and fun energy in the room! Bethenny is hysterical. She is witty, genuine, and is so so much fun. She has no limits to what she will say or do. I highly recommend you check out her show! Guess what?! The premiere of her show is TODAY! Set your DVR to Fox 9 at 3 pm everyone. Nick Cannon will be on and apparently he teaches Bethenny how to dance (okay, how to twerk). I’m sure it will be highly entertaining. You know I’ll be watching it!! It’s weird that I’m getting all jittery and excited again as I relive the moments of the weekend in this post. I have SO Much more to share but in order to keep this post from becoming novel length, I am going to have to split it into two separate posts. Can you handle it?! There is more coming your way tomorrow. A lot more. Dana will arrive in NY, we explore the city together, and attend a jaw-dropping cocktail party!! At the beginning of the week, my girl Becky, at Olives ‘n’ Wine, nominated me for the Sunshine Award. The Sunshine Award is for blogs that inspire and bring sunshine into reader’s lives. I am honored. Thanks my love! Include award logo in a post or on your blog. Nominate 10 bloggers to receive the award. 1. What is your first memory in life? Becky! Why must you start off with a tough one right off the bat?! I am sure I have memories before this one but it is the only one I can think of right now… I remember being 3 or 4 years old and I was at my grandparent’s house. I needed to take a nap and my grandma covered me up with a quilt that she had sewn herself. I loved that quilt so much that she ended up giving it to me (along with another one a little while later!). 🙂 I still have it in a box but it is pretty much torn to shreds. It was my blankie. 2. What has been the best vacation you have ever been on and what vacation are you looking forward to in the future? I have had so many wonderful vacations. Disneyworld was my very first big family vacation, and that will probably always be on the top of the charts. I was only 4 years old but seem to remember a lot about it. I never know though if they are true memories or if it is just from watching the home videos from the trip? Dana and I went to Italy for our honeymoon, and this trip holds a very strong place in my heart. I LOVE Italy and I LOVED this trip. We were even blessed by the Pope (now former Pope) while we were in Rome; it’s hard to top that! 3. What is your preferred type/brand of coffee? I’ve only been drinking decaf coffee these days and it is only once in a while, but I used to be a huge coffee drinker and I was really getting into Starbuck’s Italian Blend. We would always get coupons for it and then would stock up! I have to choose? I don’t think I can. They are both amazing pick-me-ups and I am okay with either any time! 5. What is your normal bedtime and wake up time? I am usually in bed by 10:00 pm and up between 6-7:00 am during the work week. On the weekends I sleep until 7-8! I get really crazy I know. 6. When going out, do you wear your hair up in a pony tail or down? Almost always down unless it’s super dirty, then I try to make it look presentable in some type of pony tail or bun. It’s rare that my hair cooperates when I try to put it up though. 7. Favorite form of exercise? Walking, dancing, running, biking, and yoga. Oh, and stand-up paddle boarding! I just don’t get to do that too often. 8. Favorite place to shop? TARGET, TJ Maxx, and Von Maur! 9. Do you have a favorite cuisine to eat when dining out? What is it? I am open to trying anything but my mood will often dictate what type of food I want to eat when dining out. I have always loved Mexican food, so Chipotle is always an excellent option. I guess the more I think about it, I usually choose American cuisine when I am out, but like I said I will try any type of cuisine. 10. Broccoli. Yay or nay? Yay, yay, all the way! 1. What would you choose for your last meal ever? 2. If you could only drink one beverage besides water for the rest of your life, what would you choose? 3. Milk or Dark Chocolate? 4. Morning exerciser, afternoon, or evening? 5. Worst food you have ever eaten? 7. What is your favorite holiday? 8. Would you rather mow the grass or clean the dishes? 9. What is your current go-to breakfast? 10. What song would you like someone to serenade you with? I can’t wait to see the responses! I want you all to play along too! Answer any or all of the questions in the comments section! Local readers!! Stay tuned for an awesome giveaway coming your way soon!! Well I was all set to write out a nice post to contribute to WIAW (What I Ate Wednesday) hosted by Jenn over at Peas and Crayons, but guess what? My body was needing some extra sleep this morning and I gave it what it wanted. 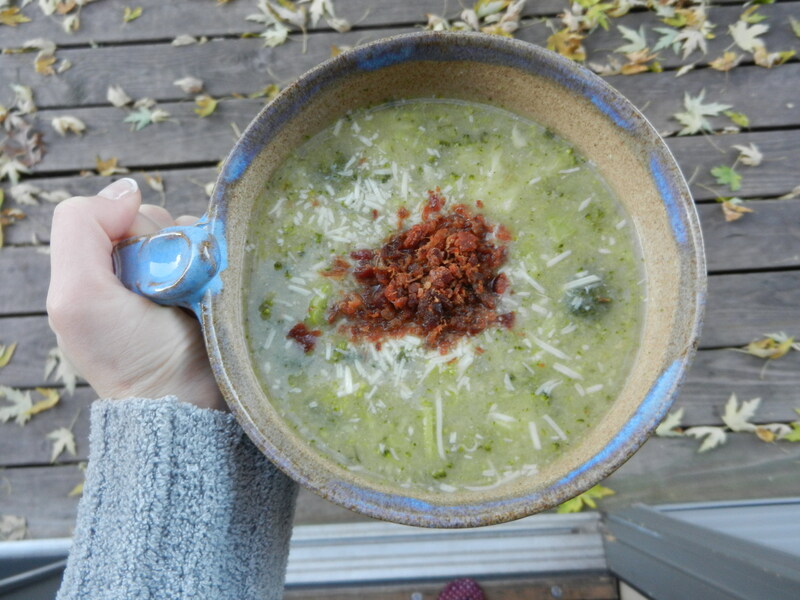 Therefore, I don’t have any much time to blog this morning, so here is a quick version of WIAW (actually a combination of eats from Monday AND Tuesday)! WIAW is about food and fun! It’s about making new friends, breaking out of a food rut, noting changes in your diet/lifestyle, inspiring yourself & others, embracing fruit & vegetables, nourishing your body with the foods that work for you, finding new ways to eat your favorite foods, and so. much. more. I also want to mention that I absolutely did not photograph everything I ate! Here’s what I have got for ya! Berries with brown rice puffs and almond milk. Spinach salad with tuna and veggies! Caribou coffee with mom (no picture): caramel soy latte! My new favorite! My amazing dinner I shared with you yesterday: quinoa with sautéed veggies and hummus! And I will not lie to you, I consumed a lot of this stuff over the past couple of days. Trail mix is my weakness! The sweet and salty combo gets me every time. So darn delicious! Thanks Jenn for hosting WIAW! Happy Hump Day! Do you prefer sweet or salty foods? I’m keeping it simple today with a little Five Things Friday! Here are five random things that have either been on my mind lately, made me laugh or made me smile. 1. Today is the official first day of summer! Happy Summer everyone! I have been loving the warm weather lately. We waited way too long for it this year so we have to soak it up while we have it. Animal-powered debris removal system. So funny, yet practical? Let’s give it a test run. I don’t really have the Pet Sweep Dust Boots, but I do have dust slippers for humans. Moose really didn’t appreciate the slippers and kicked them of as soon as I snapped this photo, but hey, It was worth a shot. Afterall, he’s the reason we have to vacuum so often around here! The peonies are in bloom and it makes me so happy to look out in our backyard and see these pink beauties. This last week, I officially registered for the Healthy Living Summit where I will be surrounded by friends, great food, fun activities, and lots of healthy living talk. Last year the summit was held in Boston/Cambridge and this year it is in Minneapolis! It’s not until September but I am already extremely excited! This weekend is Grandma’s Marathon and the Garry Bjorklund half-marathon in Duluth, MN. Good luck to ALL of the runners out there and have fun!